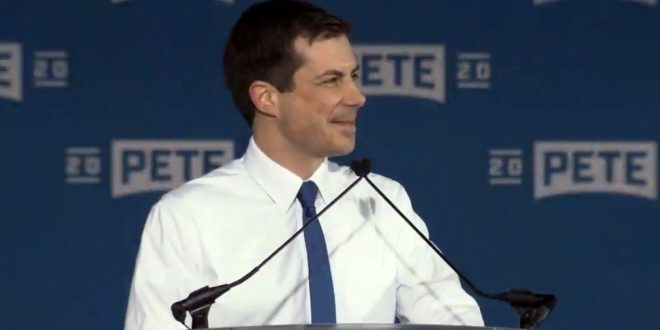 LIVE VIDEO: Mayor Pete Formally Launches 2020 Bid - Joe.My.God. Pete Buttigieg, the young Midwestern mayor whose presidential bid has been an unlikely early focus of attention from Democratic voters and donors, was set to officially kick off his campaign on Sunday afternoon in his hometown. The actual Buttigieg announcement rally will take place at the former Studebaker Building 84, located at 635 S. Lafayette Blvd. in South Bend, the northern Indiana city where the presidential hopeful is currently serving his second term as mayor. The South Bend Tribune reports that the event was originally slated to happen outside, but was moved indoors due to the threat of rain on Sunday. But anyone wishing to watch the Buttigieg rally without braving the weather, crowds, or driving all the way to South Bend, can do so online. C-Span is slated to live stream the rally on its website, starting at 2 p.m. ET on Sunday.